Have you ever eaten way too much pizza? How about a super-sized order of fries instead of a regular, followed by a large milkshake with whipped cream? Sure they tasted great, but after a few minutes you feel sluggish, struggling to do simple tasks like, say, walk back to your car. While maintaining your car (or your health!) can be expensive, the same is not true of your computer. 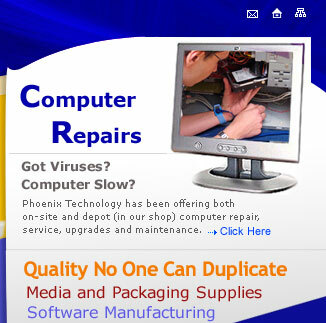 In fact, Phoenix Technology can help your computer trim its fat for just $65! Imagine how much more you can get done with a more limber PC. So give us a call or stop by with your computer. 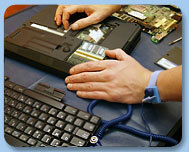 We can speed up your PC for you. And maybe we’ll join you in the gym afterward. This entry was posted on Tuesday, November 9th, 2010 at 5:00 pm and is filed under Computer Repair and Tune-up, Spyware and Viruses. You can follow any responses to this entry through the RSS 2.0 feed. You can leave a response, or trackback from your own site. I want to personally praise you for putting this site together, and putting the work in it to make it a valuable visit. Will be back for more….